China’s hospital landscape is rapidly changing as operators and owners respond to shifting policy incentives, an aging population, the opportunity to serve Tier 2 and 3 cities, and shifts in consumer preferences. One result: growing m&a activity, with assets changing hands in deals involving China’s TTC Franchise Clinics; Beijing Remote Heart Community Hospital; Chengdu New Century Women’s and Children’s Hospital; and Renyi Hospital Company. Some transactions are driven by the desire to consolidate holdings in key cities; others are deals struck to migrate from non-profit to for profit status. We also are seeing specialty deals in segments such as dental, fertility clinics, eldercare, and nursing homes. 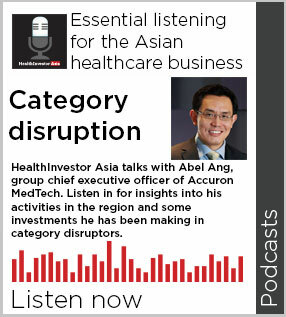 Examples include Harmonicare Medical; OUE Lippo Healthcare; Pine Care/Yada JV; and China Cord Blood. These transactions reflect consumer and investor responses to behavioural and demographic shifts: delayed child-bearing has created demand for fertility support; China’s aging population needs more eldercare and nursing homes. We anticipate that such thematic-driven deals will continue. Beyond these deals, it is important to note the mindset shift among owners of healthcare assets in China. We are seeing Chinese healthcare operators continue to invest in upgrading their capabilities, their physician mix, and their technology base, for example streamlined electronic health records and pharmacy systems. Big thinking is taking place, including ways to capture genetic information and link that to patient records and population health systems – with all the privacy, regulatory and ethical ramifications involved. Combined with growing investment in artificial intelligence and machine learning systems for diagnostic care, important shifts are occurring in China’s care system. These early stage shifts in China’s treatment landscape in terms of ownership, quality of outcomes, technology systems, and patient preferences are catching investor attention, both domestic and foreign. Many of the Chinese owners/ operators we talk to want technology and capability partnerships to differentiate themselves further especially in a world in which care starts to become decentralised due to technologies like telemedicine and remote diagnostics. A number are turning to Singapore, the US and Britain for potential partners. These partnerships can range from systems design to ongoing capability transfers to equity co-investment. In rare cases, we have also seen Chinese investors consider outright acquisition of US assets to cement those ties rather than simply do a co-branding deal. What the future holds is largely dependent on patient flows and policy makers. As US healthcare is increasingly expensive, medical tourism from the US to Asia is likely to rise if US consumers are confident they will receive equivalent treatment outcomes. One Beijing hospital is hoping to provide that level of comfort by having its medical tourism work overseen by an US-based (Ohio) doctor affiliated with the hospital. We believe there is a largely unexplored option to seize this opportunity. It involves building hospitals and care facilities on both sides of the Pacific, and forming a single global network that allows for profit sharing, patient record sharing, HCP talent exchanges, use of facilities irrespective of location, and cross-referrals, for example. Such a step could help unlock a different end-game for these partnerships rather than one that simply focuses on cash transfers for technology rights. Reinventing the care model in both markets can be the profitable prize especially given forecasts for population growth. That said, for Chinese hospitals and treatment facilities, the in-country patient pool will always be the dominant source of revenues. China’s aging population, rising purchasing power, and gender mix will force shifts in care, e.g. dental, beauty treatments, home care and fertility treatments. Be that as it may, innovations that draw upon some of the best practices from global markets can also serve the domestic Chinese consumer and patient well. 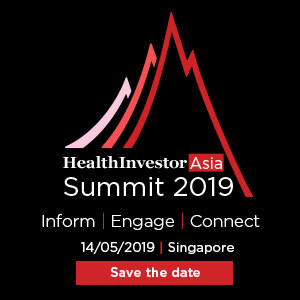 Those options and others await investors who can partner with Chinese health organisations to reinvent the care model. Feel free to contact me or my consulting colleagues here in Asia to learn more. Jude Uzonwanne is a principal with IQVIA, the world's largest pure play healthcare advisory services company. He provides strategy and transaction advice to clients in Asia Pacific region. He can be reached at jude.uzonwanne@iqvia.com.